Do you suffer from heart burn, bloating, excess gas, abdominal pain, constipation and/or diarrhea? Have you been given the diagnosis of IBS and told that there is no cure or treatment? It is estimated that up to 90% of IBS cases are actually due to the disorder known as SIBO. And SIBO can be treated and cured in a relatively short period of time. Irritable bowel syndrome otherwise known as IBS is a commonly diagnosed digestive condition. The term IBS is used to describe these symptoms but yet it doesn’t provide a reason as to why they are occurring. That is where SIBO (small intestinal bacterial overgrowth) comes into the picture. Only in the past 3-4 years has more attention been paid to this chronic infection of the gut, yet surprisingly it is a common cause of digestive dysfunction. SIBO can arise when a person is exposed to a gastro-intestinal infection such as traveller’s diarrhea or food poisoning or if multiple oral antibiotics have been used to treat any type of infection or illness. In rare cases, SIBO can be of auto-immune origin however the majority of those infected can recall an episode of nausea and vomiting related to food or water contamination. In brief, SIBO is a result of the improper movement of food through the small intestine and into the large intestine. This allows for the good bacteria found in the colon to migrate backwards and live in the small intestine. 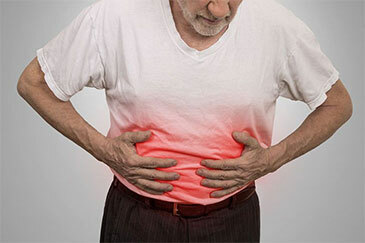 The result is a chronic infection and inflammation of the digestive tract and symptoms such as constipation, diarrhea, bloating (especially after eating a number of foods), belching and passing gas, even heart burn and acid reflux. Other areas of the body that can get affected include the skin (eczema, psoriasis, rosacea, acne) and immune system’s ability to ward of common illnesses. The test for SIBO is a non-evasive breath test which is completed over 3 hours at home. The exhaled air is tested for different types of gases that the bacteria give off as a by-product. 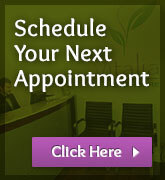 Results are often returned as quickly as within 1 week and treatment can start. Treatment options include the use of safe antibiotics and/or herbs that are known to target the specific types of bacteria causing the infection. However, to ensure that reinfection does not take place it is very important to follow through with minor dietary changes for 1 -2 months and repair of the damage done by the infection to the migratory mechanism of the digestive tract. There are several options as to how to achieve proper functioning and healing of the intestinal lining, each depends on the individual person and the symptoms that originally occurred. Of those individuals who have been tested for SIBO at Vitalia, a high percentage tested positive, it is one of the most common reasons for gastro-intestinal symptoms that we diagnose. Please contact Vitalia for more information.